A glue stick, a writing pencil, scissors, a black felt pen. 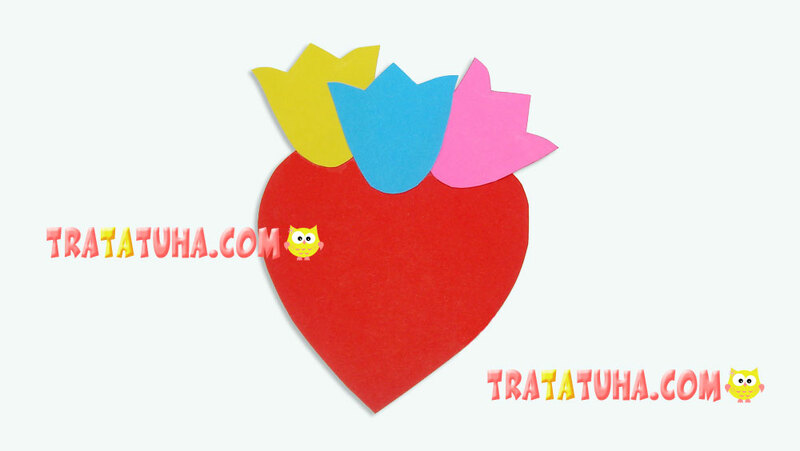 Put two types of coloured paper one upon the other and draw a heart half, starting from the left edge. Cut out along the outline, and you will get two absolutely identical halves. Use the same shades to cut out stripes for hands. 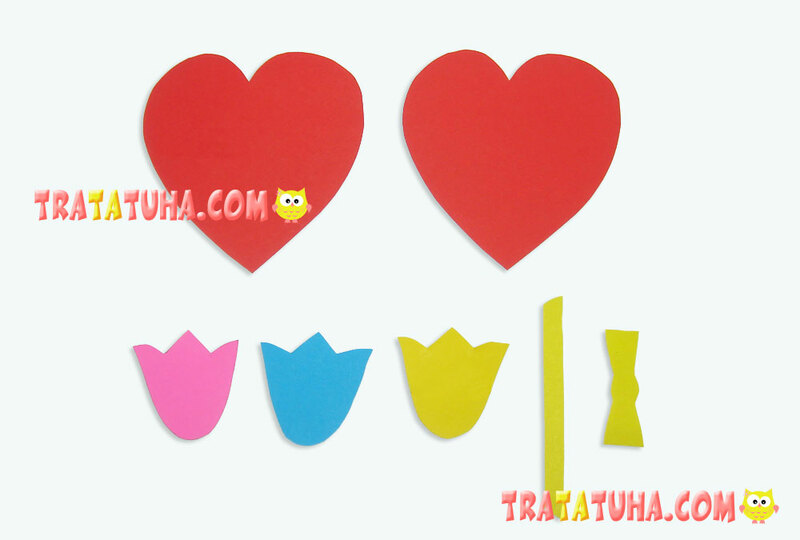 Glue the heart halves onto the construction paper to get the whole one. Round off one end of the stripes and make a slight accordion out of them. Fold them in one direction and then in the other until the stripe is over. Glue the stripes so that their beginning was located on the half of the same colour and the rounded end on the other one. 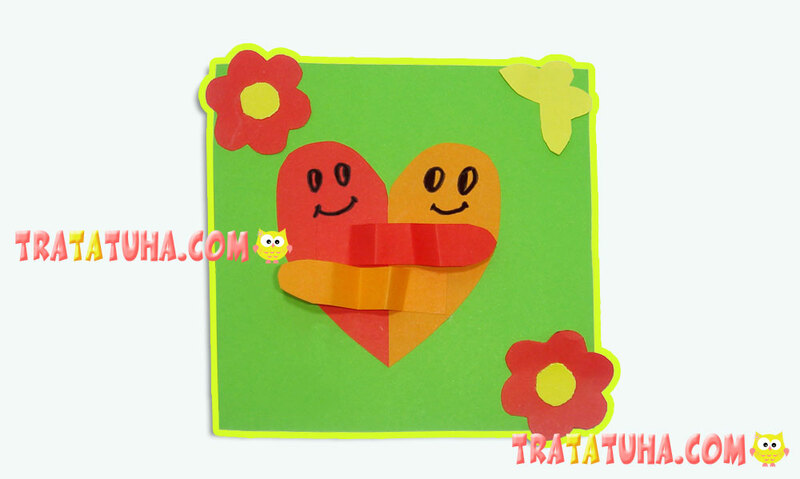 Draw eyes and smile for each of the halves, sign the Valentine card and decorate it with paper flowers. 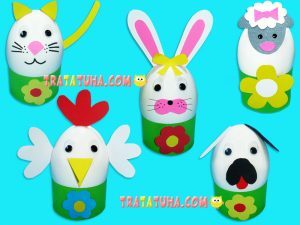 Here you can use your imagination to the full – glue all kind of decoration or just draw patterns and flowers. A writing pencil, a glue stick, scissors. 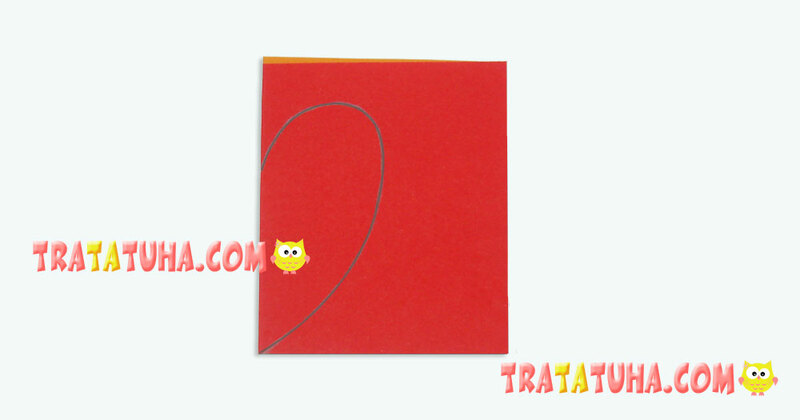 You can use coloured paper instead of construction paper but in this case your Valentine card will be less durable and resistant. Being made of construction paper, it look more like a thick postcard. 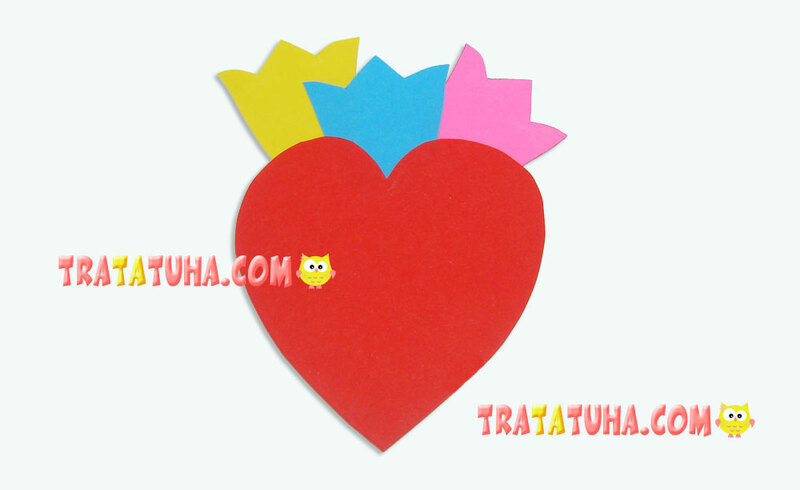 Cut out 2 similar hearts out of red construction paper. You can print out a pattern from the Internet. 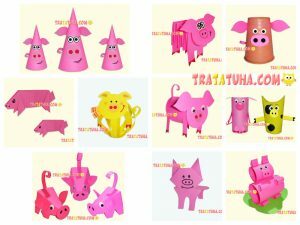 Or make your own design. To make it, you should fold the paper in half and draw a heart half starting from the folded side. Cut it out and you will get a whole heart with identical halves. Draw simple tulips and a bow. 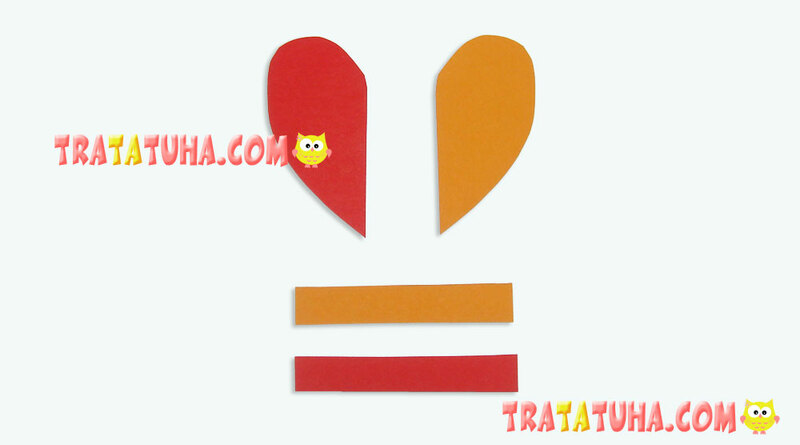 Cut out a stripe as long as the heart’s width. 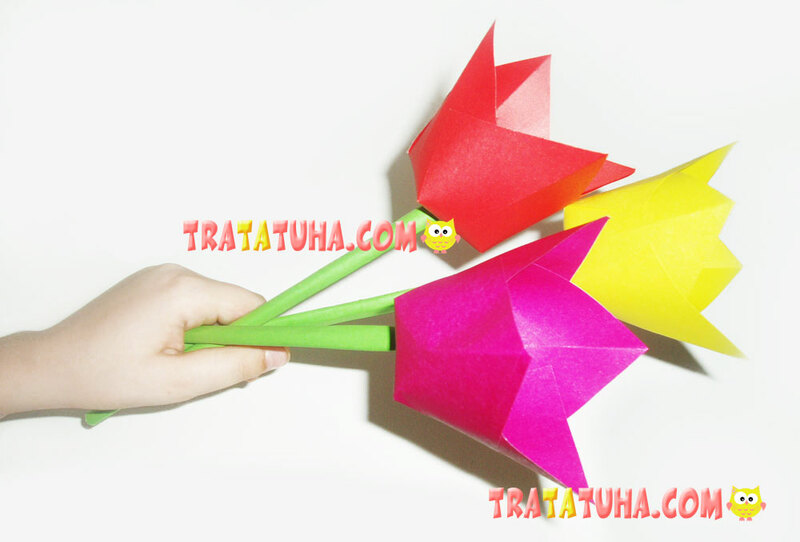 Glue tulips onto one of the hearts. 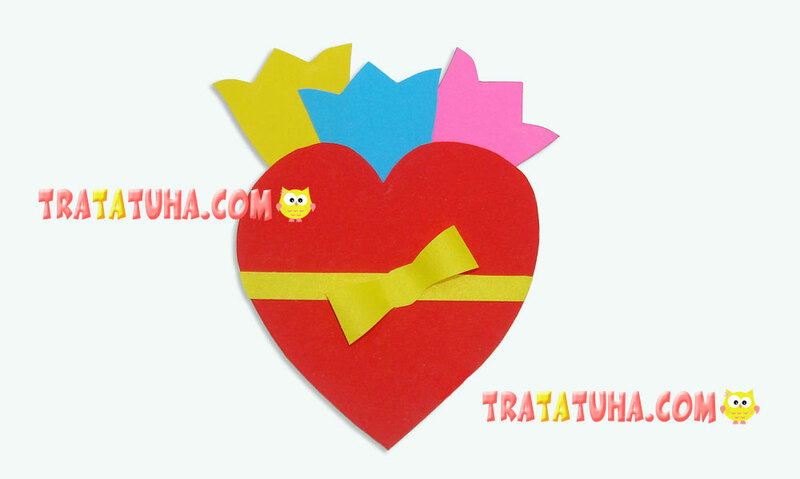 Apply glue to the second heart and cover the first one with it. Attach the stripe and the bow horizontally. You can slightly twist the bow’s edges with a pencil to make it look more voluminous. And you will get this interesting Valentine card. You can fill it with absolutely any flowers that the child can draw himself. A writing pencil, scissors, a glue stick. Outline the hands with a writing pencil; don’t place the fingers too wide. 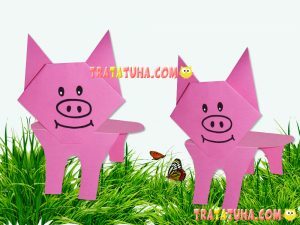 Cut out the hands and join them as if they greet each other. Cut the heart out of red construction paper so that it was slightly bigger that the joint hands. Glue the hands to the heart. 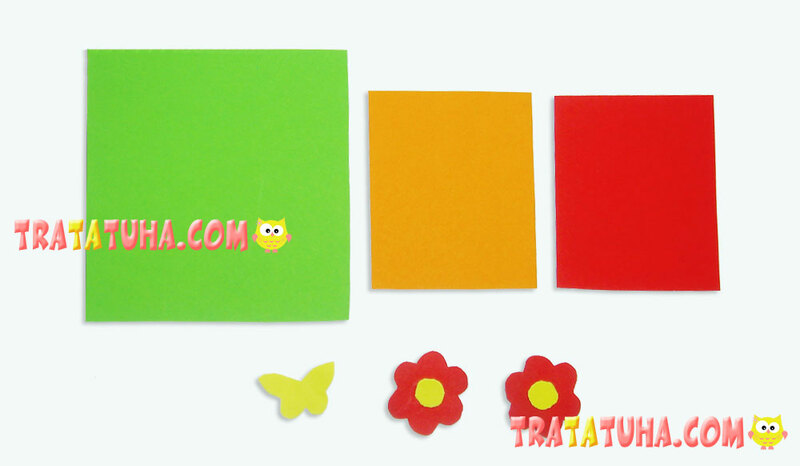 On the back side, you can write pleasant words for the addressee. 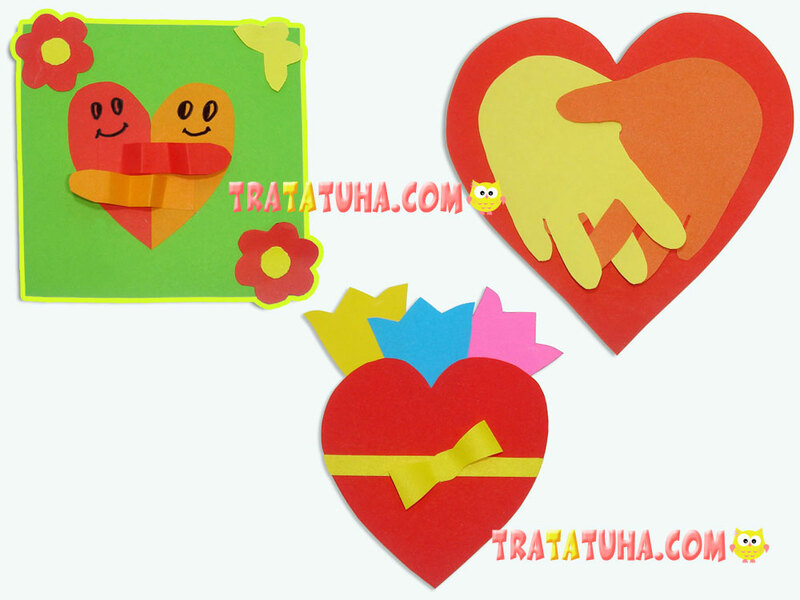 These are the Valentines day cards for kids – amusing and easy to make.